We’re wrapping up construction on our two final new homes in Aurora Trails, and they are nearly move-in ready. These two homes are situated on the former construction trailer site, and had to be completed after everything was done in the community. They are conveniently close to the retail plaza along William Graham Drive and St. John’s Sideroad. Road improvements are now in the final stages along St. John’s Sideroad, according to this York Region Report, and this means transportation will soon be a breeze, heading both east and west and also north and south along William Graham Drive. Aurora Trails is renowned for the large tracts of land set aside as conservation, with a network of trails for biking, walking or running. The community also features a large amount of parkland, wetlands (ideal for bird-watching) and sports facilities. 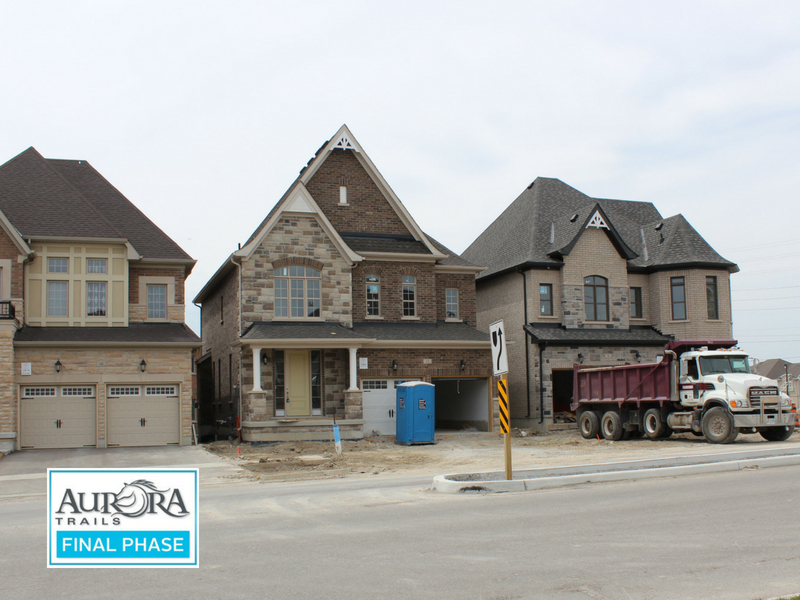 In the greater community, Aurora has a picturesque downtown, excellent public and private schools, and is within close proximity to Richmond Hill, Markham, North York, and Vaughan, with Toronto accessed to the south via Highway 404. These two final new homes in Aurora Trails are your last opportunity to call an OPUS Homes Aurora Trails home! OPUS Homes is proud of their homes in Aurora which are an outstanding reflection of our company values, offering Signature Finishes and design that are distinctively better. Each 4 bedroom plan features interior finishes that will surprise and delight you, as they are often other builder’s upgrades: Gourmet kitchens with undermount sinks, granite counters and taller uppers, a family room gas fireplace with stone cast mantel, and lavish master retreats with tray ceiling in master bedroom, and an ensuite equipped with a glass shower and stand alone tub. Click here for our home plans, and to register for further information. Previous PostPrevious Glen Ridge’s Estate Homes In Aurora Construction Takes Shape!